For a tired, bored techie, a few days spent in the lap of nature is just the pass to rejuvenation and replenished vigor. I was Planning to go a vacation, visited APSRTC Tourism portal to look at the Top Tourist Place nearby and planned to visit Vizag.Vizag, also known as Visakhapatnam can be the best choice for you. Being one of the closest hill stations from Hyderabad, it has the great amount of nature&apos;s attractions to laze off and enough places to visit to don your tourist pants and check them out. The region has many honeymoon destinations and tourist places that represent the heritage and culture of true India. One of the best places to visit in Vizag, It is around 40 minutes drive from the city. It has some of the rarest species of birds and animals. Other Indian species such as royal tiger, crocodile, Indian elephant and a huge range of rainbow coloured parrots especially one brought from Africa are its great attractions. The world famous hill station, Araku valley, situated 130 KM south from Vishakhapatnam and 40 KM north of Borra caves is a home of a number of tribal communities. Most popularly known as Andhra Ooty, it is located in the eastern ghat at an altitude of 950 m above sea level. With its streams, waterfalls and pleasant climate, it is perhaps one of the best Vizag tourist places. The tribal villages and tribal museums are worth visiting places here. They offer a glimpse of spectacular tribal folk dances like Mayuri and Dhimsa. 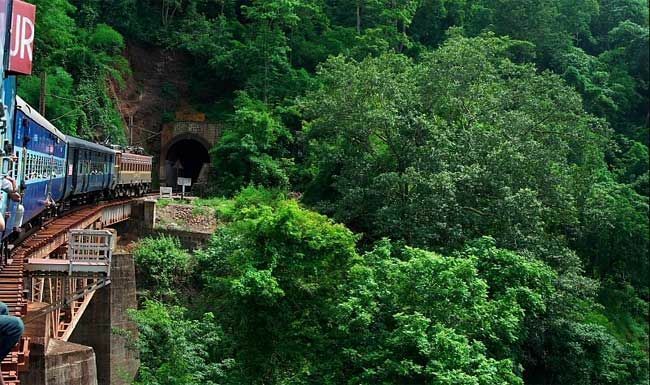 Chaaparai, an attractive place about 20 KM from Araku is another worth visiting place. Attractive honeymoon destinations and accommodation facilities are also available here. The city has one of the safest beaches in the country. If you are busy in the city and don&apos;t want to visit distant places, then the R. K. beach is the best place to play with water. Children will find pure joy at VUDA Park, which is a unique park with a strange mixture of fun with green patches and water. The Keertana Vanamu Beach Resort gives you a memorable stay, especially if you are on a vacation. Theme parks, water boat rides are some attractions that will make Vizag the best tourist destination. The Simhachalam Temple, dedicated to Lord Lakshmi Narasimha Swami was built by Raja Krishna deva Raya is the best architectural specimen in India. Sankaram, Devipuram, Saligudam, Boudharamam are the temples where the true heritage and culture can be found in idols. Beside gigantic temples, there are many Buddhist viharas which narrates the story of cultural development of their age. What we have covered is just a small selection of tourist attractions of Vizag. There are thousands of sights waiting for your discovery. This post was originally published on &apos;My Travel Trips&apos;.